Are you looking to renovate or cleanup your home or business throughout the Long Island, NY area? If you are, our business’ specialists help to make the dumpster rental process go as efficiently as is feasible thanks to a couple of major factors. First of all, our Long Island, NY organization has an experienced staff who have the expertise to help you find the optimal dumpster for your venture. Secondly, whenever you rent a dumpster from our business, we’ll deliver and pick it up at no cost, which is going to save you lots of money. Last, but certainly not least, you won’t discover another dumpster rental company within the Long Island community that stocks the variety of dumpsters we do. For more information about how our crew from NS Carting Dumpster Rental around Long Island can help you, call now. Instead of claiming to be the best, we leave it to our customers to decide by providing excellent services that match the quality of our roll off dumpsters. By always aiming to provide a high standard of customer services, we’ve won the hearts of many people on Long Island. NS Carting offers easy Dumpster Rental and we are delighted to partake in maintaining the beauty and integrity of Long Island, NY. We offer affordable rolloff dumpsters that come in varied sizes; 10, 20, 30, and 40 yards. As a part of the Long Island we believe it’s our responsibility to preserve its beauty with the services we offer. We offer the lowest price on a dumpster rental in Long Island, New York from a dumpster company that you can depend on? With NS Carting saving time and money on dumpster rentals all over Long Island, NY (including Nassau and Suffolk Counties) is easier than ever. We've found out of all the dumpster companies serving Long Island, NY we are the biggest, honest, dependable and most affordable. Whether you are looking for a 40 cubic yard dumpster in Long Island for a construction site, or you need to rent a dumpster in Long Island, NY ASAP, NS Carting is the place to get it done. When you use NS Carting to get a dumpster rental in Long Island you can expect to get low prices and reliable, on time deliveries. We are credible and always strive to offer timely pickup and delivery of all dumpsters. That is why our customers have stuck with us over the years. You’ve probably heard their stories. So if you’re eager to find out why everyone is raving about NS Carting Dumpster Rentals, call us today @ (516) 400-3867 and we’ll provide you with a free quote. You can get specifics of Nassau County’s needs regarding what kind of dumpster rental you will need and how you can use it from your local government, but that may not be beneficial if you have very specific questions regarding renting a dumpster. NS Carting will be happy to talk to you about your venture and your needs so you can be rest-assured that you know exactly what rental unit is ideal for your project. If you have a substantial and very long project going on at your property, then you may be thinking of renting a roll-away dumpster in Nassau County. You don’t want to have to waste a lot of time getting your rental in order for it to show up. The longer you have your rental unit, the more it will cost. We fully grasp this and NS Carting will make certain you get your rental promptly, when you schedule your appointment. NS Carting will also pick up your dumpster rental companies in a timely manner, so you do not have to have the unit on your residence longer than is essential. 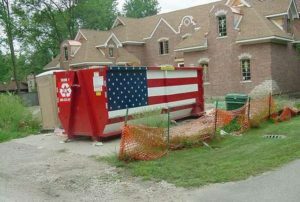 Before you decide to rent a dumpster in Nassau County, you’ll need to determine which kind is most appropriate for you. Each type of dumpster is best fitted to a particular purpose. You may also have Nassau County policies that limit the kinds of dumpsters you can use for certain things. If you need advice, NS Carting can provide you with more info. You can call to contact us with any questions you may have. Choosing the right dumpster rental for your needs can save a good amount of time and money. The most suitable dumpster should provide a considerable amount of space for the waste you need removed, without a lot of excess room left over. NS Carting can give you information about what sort of unit would be the most appropriate for the work you need accomplished. If you’re considering renting a dumpster in Florida, consult with a quality professional for the best suggestions on Dumpster Rentals for Nassau County. Our services combine the technology and manpower to offer the most efficient job for you. We have highly trained men who handle only the most qualified and topnotch equipment. We are all professionals that have the apt knowledge of handling all logistics of the task from getting to where you are down to recycling. We know all the technicalities of waste management and we take being environmentally friendly very seriously. We are all about making the Suffolk County area safe, clean, and livable for as long as it takes. Call us now for Dumpster Rental Suffolk County. Apart from all this, at NS Carting, we know the lay of the land and with the right equipment, we can get to where you are in the most efficient and safest way possible. With just one call, you can have all your surrounding junk taken away in just a matter of hours and you don’t even have to worry about handling anything else because we will do everything for you. All you have to do is pick up a phone and dial us now. You don’t have to worry about your junk, because we worry for you. Call us today @ (516) 400-3867.